Oklahoma Connection | Murrah was born near Tishomingo, Indian Territory. 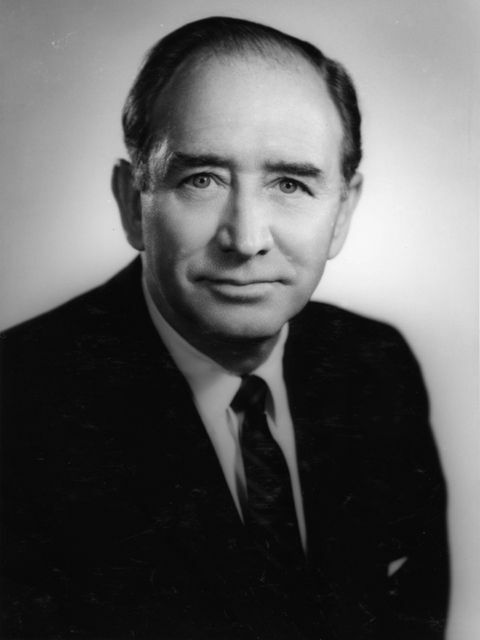 Native Oklahoman Judge Alfred P. Murrah was born in Indian Territory near Tishomingo and grew up in Tuttle, Oklahoma, after having lost both of his parents at an early age. He worked on farms and in a drugstore in Tuttle before graduating from Tuttle High School. He graduated from the University of Oklahoma School of Law in 1928 and practiced law in Seminole, Oklahoma, until his appointment to the U.S. District Court of Oklahoma in 1937. He was elevated to the U.S. Court of Appeals for the Tenth Judicial Circuit in 1940. In 1954 he received the Hatton W. Summers Award for outstanding service rendered in the improvement of the administration of justice and rose to the position of Chief Justice of the U.S. Circuit Court of Appeals. Judge Murrah was also the director of the Federal Judicial Center in Washington, D.C. (1950-1970) and Oklahoma City’s former Federal Building was dedicated in his name in 1977.